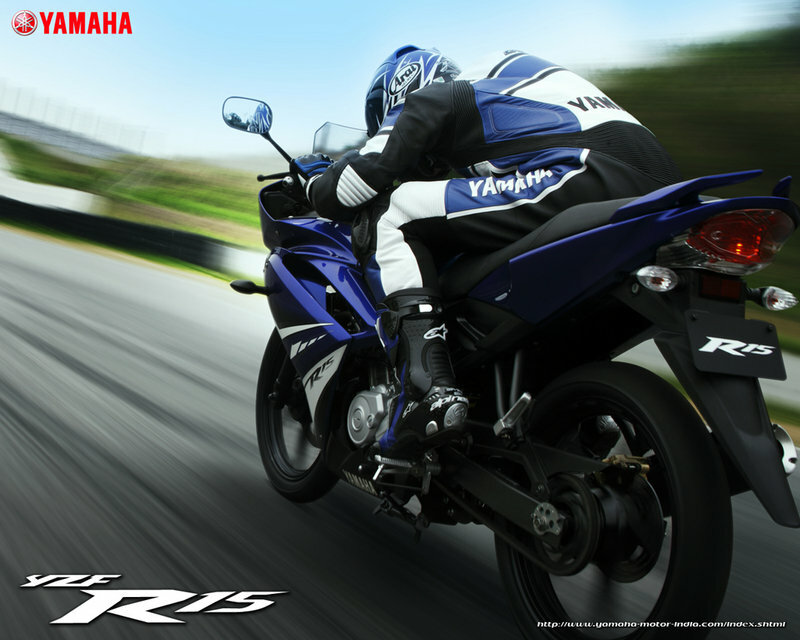 If you said that the Yamaha YZF R15 is the best looking bike in India, you wouldn’t be entirely wrong. Taken from the DNA of the global Yamaha YZF R1 series, the YZF R15 looks the part of a beast on two wheels. The front portion of the bike is exactly fully-covered while the rear portion continues to be naked. The cowl on the bike looks stylish with two eyes serving the purpose of twin headlamps. Furthermore, the windscreen on the top of the cowl also looks impressive while the black rear view mirrors are accompanied by the large airscoops. A nice long shape and a sparking body color really catch our attention. 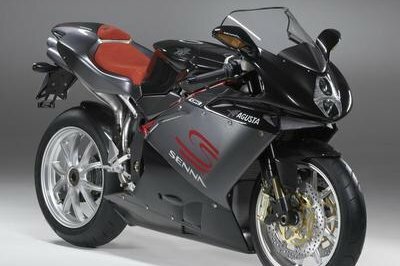 The bike’s design was also done to provide enough space for the rider and contribute a lot to the looks of the machine. The only visible part of the engine’s exterior can be seen from the side view while the other parts are covered in front fairing. Enough space for seating is left for one person. On the other hand, the nice rear grab bars are placed at the top of the rear portion. 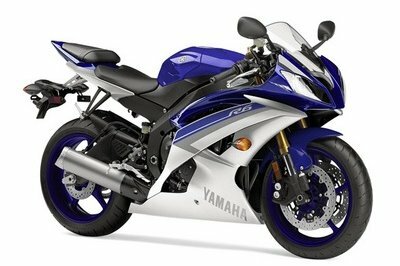 The YZF-R15 also comes with five spoke alloy wheels and a nice shaped muffler. The latter is also painted black while the rear end is in white. Both disc brakes at the tires not only ensures good braking, but also guarantees a good looking bike that you can take out on the road with pride. Find out more about the Yamaha YZF-R15 after the jump. The YZF-R1 and YZF-R6 are equipped with under cowls that are based on the image of a diffuser, to give them the best form for aero-management. These are not cowls for simply enclosing the engine, but forms composed of blade surfaces that actively control airflow. This spirit has been directly inherited by the YZF-R15 version 2.0. “Harmony between rider and machine.” YAMAHA’s Human Technology involves studying the form of the motorcycle actually in motion with the rider on it. The R series is the embodiment of 1) a wide frontal space that protects the rider, 2) an easy to ride seating area that gives riders the freedom of movement and allows them to steer effectively, 3) the glamorous tail treatment that takes into account the management of airflow behind the rider, and 4) a sensual racing form that brings all 3 of these elements together in a harmonious package. 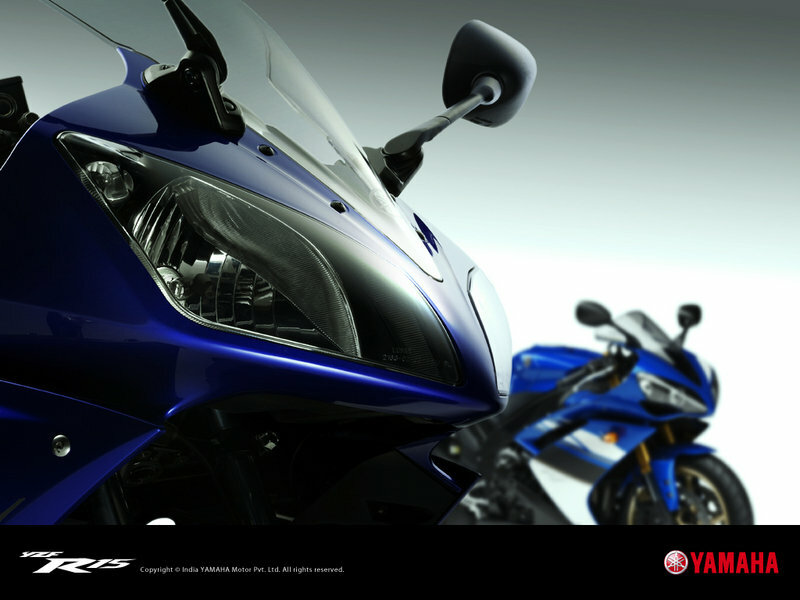 These characteristics have been splendidly reproduced in the YZF-R15 version 2.0. The YZF-R15 version 2.0 is a new model that has been developed under the concept of a “Graded Up R15.” While maintaining the proven ease of handling of the existing R15, the R15 version 2.0 boasts of spruced up looks and better performance in circuit riding. 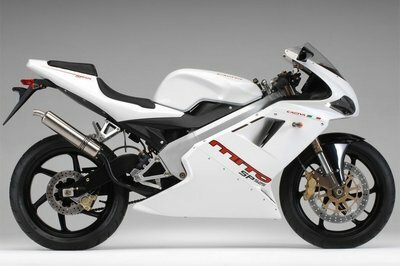 The design elements are borrowed from the supersport model YZF-R1 that is adapted from YZR-M1 MotoGP race machine. The YZF-R15 version 2.0 – is a 150cc liquid-cooled 4-stroke fuel injected bike. 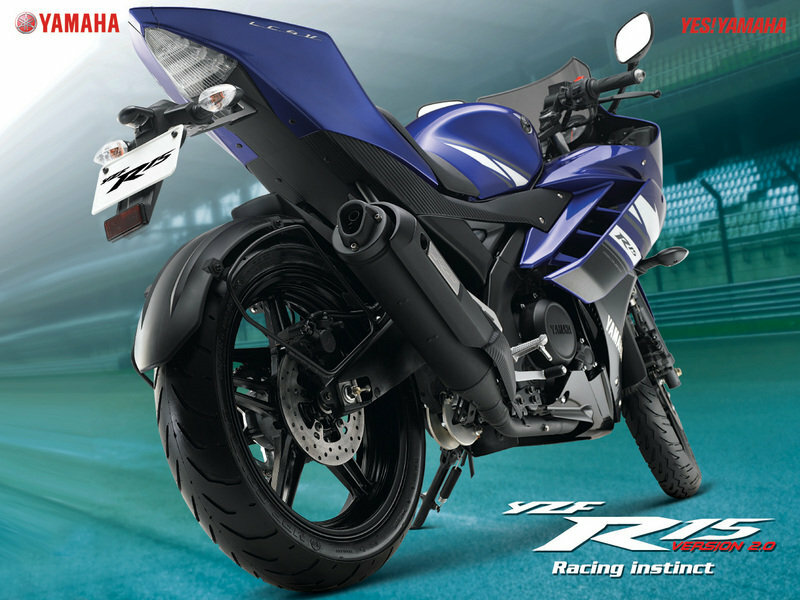 The R15 version 2.0 has undergone changes as compared to the present YZF-R15 in the specs of the Engine Control unit (ECU), drivetrain unit, a long aluminum swing arm, wider front and rear tires (radial tire for the rear), split seat, LED taillights and new-design middle cowl & tail cowl. The two components of the fuel injection mechanism used in YZF-R15 version 2.0, a) the sensors that gather information on the engine’s operation, and b) the fuel supply system that supplies gasoline, have both been designed to be lightweight and simple. The sensor component uses only 4 sensors (Red blinking points) to gather large amounts of information relating to engine operations, which is sent to a small 26-pin ECU, which in turn calculates the optimum fuel supply. The fuel supply component consists of a small, fuel pump, modularized regulator and filter, and a small injector, all of which come together to enable a lightweight, compact form. The injector injects finely atomized spray of fuel through 6 hole type injectors. YZF-R15 version 2.0’s engine delivers excellent response, fuel economy, is environmentally friendly and a comfortable ride. First Indian made model with cooled Engine. 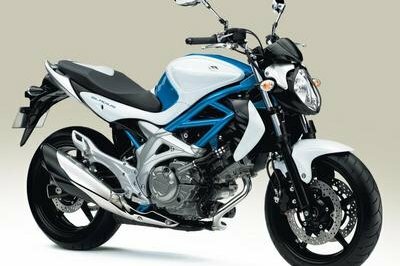 Liquid Cooled Engine provide stable performance, reduce vibrations, and offer a high quality ride. The engine is surrounded by a water jacket in which coolant liquid circulates to cool the engine. While this method is widely used in automobiles and large capacity motorcycles, there are very few examples of motorcycles of this class due to increased weight from components such as radiators. YZF-R15 version 2.0 uses a special compact and lightweight aluminum radiator and a body design that utilizes airflow for heat dissipation. This has enabled us to create a lightweight, compact body while retaining its stable performance. The benefits of using this method include stable performance during long-distance, high-speed riding and hill climbing. A liquid-cooled engine does not need heat-dissipating fins and therefore the engine is able to deliver its best performance without being affected by temperature. Additionally, because the head and cylinder are enclosed in a water jacket, mechanical noise from the engine is reduced dramatically. The newly developed engine delivers agile riding performance, and excellent performance on straight stretches of road as well as on winding roads. YZF-R15 version 2.0 also delivers excellent environmental performance. These traits are a must for an “urban supersport.” The ride is unprecedented in terms of both excitement and quality. The DiASil Cylinder was born from YAMAHA’s world-class aluminum die casting technology. DiASil Cylinders are all-aluminum cylinders made by YAMAHA’s proprietary aluminum die casting technology. An aluminum alloy with 20% silicon content is used to create a very hard, reliable cylinder surface, making conventional iron sleeves obsolete. As a result, the entire cylinder can be made of aluminum, a better conductor of heat, which means the cylinder delivers better heat dissipation and less weight. (Aluminum’s heat conductivity is 3.1 times that of iron.) YZF-R15 is equipped with this all-aluminum cylinder called the DiASil Cylinder and a forged piston, the same type of piston used in YAMAHA’s supersport bikes. The fact that both the piston and cylinder of YZF-R15 version 2.0 are all-aluminum ensures excellent heat dissipation, eliminates heat-induced engine power loss, and helps improve fuel efficiency. The DiASil Cylinder is given a special surface treatment to prevent oil evaporation from the cylinder’s surface and improve oil consumption. The cylinder also has excellent hardness and is considerably resistant to wear compared to conventional iron sleeves. Additionally, the piston is made in a forging process, the optimum way of achieving lightweight designs.The reciprocating mass with the forged piston is approximately 20% less ( according to Yamaha test ) than with an engine of the same displacement fitted with a conventional cast aluminum piston. Resulting in an invigorating feeling when revving up. Conventional pistons are typically made in a casting process where molten aluminum is cast in a mold. YAMAHA developed its proprietary “controlled forging technology” in 1997, which enables mass production of forged aluminum pistons. These pistons have been used in sport models such as the R series. The same manufacturing process was used to develop YZF-R15 version 2.0. Forged pistons retain the excellent strength of aluminum alloys because the metallurgic matrix of aluminum is not affected during the fabrication process. Therefore, the piston can be made lighter and thinner. 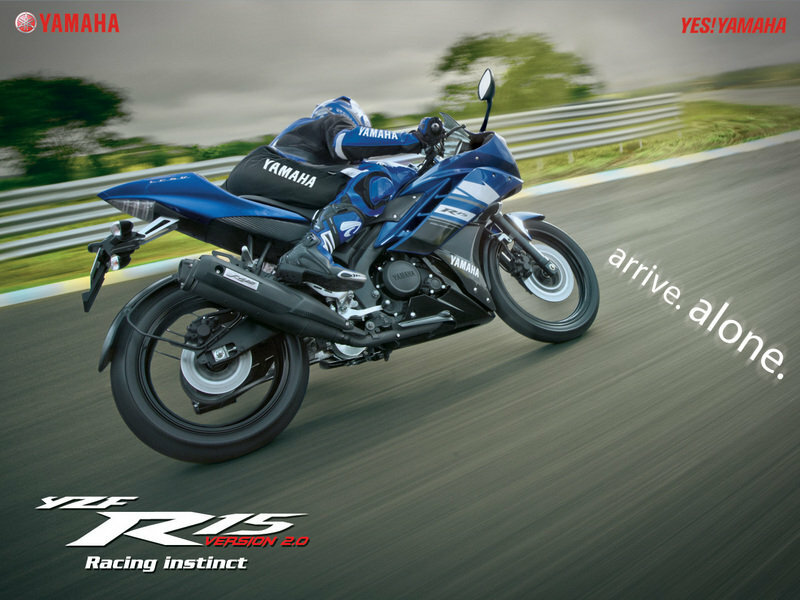 YZF-R15 version 2.0 is packed with state-of-the-art technology that is used in the world’s supersport bikes. The Deltabox frame was commercialized based on the experience and know-how accumulated through YAMAHA’s involvement in Moto GP since the early 1980s. This type of frame is currently used in YAMAHA’s R series of sport models. The engine is mounted on rigid supports; one on the head side and two on the case side; so that the engine itself becomes a structural member contributing to body strength and rigidity. The engine’s low vibration makes rigid supports possible, ensuring low vibrations and excellent balance of rigidity. Torsional rigidity refers to the frame’s resistance to deformation when a twisting force is applied to the pivot with the frame’s head pipe held in place. YZF-R15 version 2.0 is equipped with a linked type monocross suspension that delivers a comfortable ride and a cushioning performance that is less prone to bottoming out. In particular, it reduces annoying “sinking” when riding tandem. 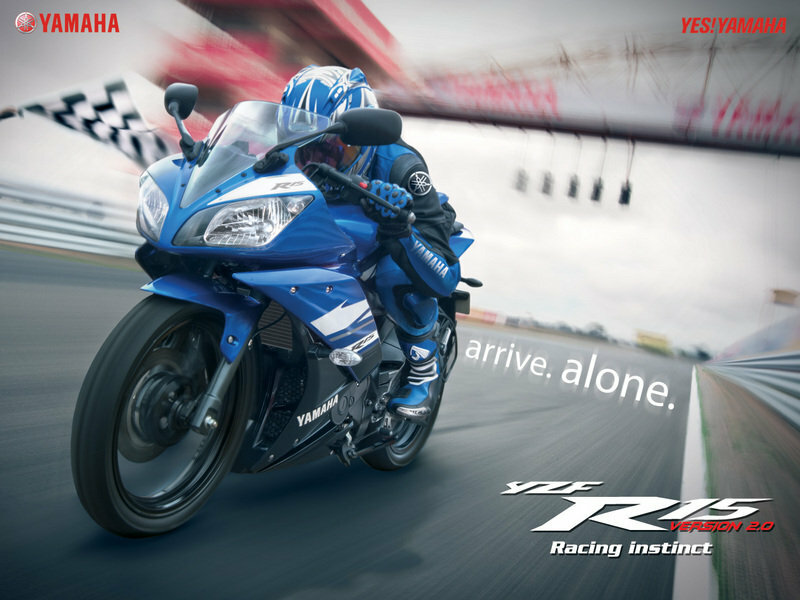 As the heir to the YAMAHA R series, YZF-R15 version 2.0 has inherited the series’ agile handling performance. The long swing arm design is a feature fed back from Yamaha’s YZR-M1 MotoGP race machine and it is effective for ensuring outstanding rear tire traction. It serves to minimize excessive chassis movement when drive force is applied and is thus effective in stabilizing the machine. A separate-section seat enables a better feeling of seat grip in sporty riding. This new seat design features a slip-resistant seat cover material, excellent cushion qualities, optimized shape for the inner thigh contact area and the cushioned front edge of the rear seat that supports the rider’s rear. The 800mm seat height lets the rider maintain a more relaxed riding posture, while the shape of the area that contacts the rider’s inner thighs has been shaped to provide easy leg reach to the ground. The design also features a storage compartment under the rear seat for holding things like tools and documents. With a width of 130 mm, the rear tire adds to the sense of machine volume A radial tire is a tire formed around a “carcass” consisting of a radial ply with cords that run in a perpendicular to rolling direction, as if “radiating” out from the center of the tire to the two rims. The newly designed middle cowl features improved aerodynamic performance at higher speeds while also giving a more dynamic look to the body styling. The aerodynamic resistance value is 4% better than that on the existing YZF-R15 version 2.0 for improved high-speed performance. The new cowl is characterized by a layered structure and is designed to actively draw in airflow for cooling effect, while also contributing to rider comfort by directing the outflow away with greater efficiency. A double horn with larger volume and sound quality is adopted. 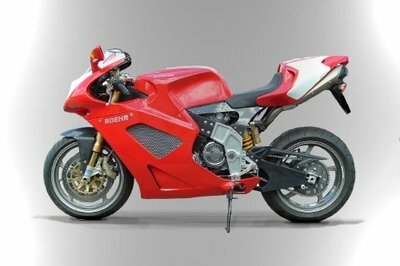 The R15 version 2.0 has undergone changes in the specs of the Engine Control unit (ECU), drivetrain unit, a long aluminum swing arm, wider front and rear tires (radial tire for the rear), split seat, LED taillights and new-design middle cowl & tail cowl to experience the leaner and meaner performance. Motorcycle ---- "Yamaha’s YZF-R15 has offered riders the ultimate sportbike in its 150cc segment, managing to retain the unadulterated feel of its legendary mentors, the supersports YZF-R6 and R1"
Bikedekho ---- "The Yamaha R15 is best looking, very much sporty and appealing bike present in India. It is having super aggressive design of all the parts whether it is mask or it is rear view." 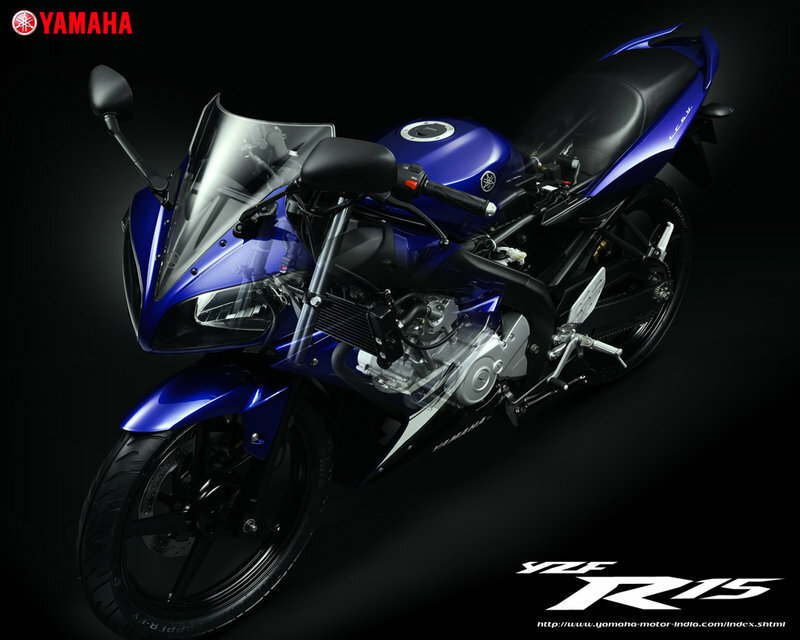 Myindianguide ---- "Yamaha YZF R15 is a power pack machine with latest technologies. Lookwise it is above expectations. Perfect bike for style, performance and power lovers in bike"
Maxabout ---- "Yamaha R15 was the first model for the Indian market designed in the true supersport image and featuring a high-level balance of enjoyable running performance on winding roads."